Woodlands is an all age school for pupils with a broad spectrum of needs. We have a Nursery and Primary, Secondary and 6th Form departments. In its most recent Ofsted report, Woodlands was identified as a good school. Crucially, we were deemed to have good capacity to improve, and this is our constant aim. Pupils’ happiness, safety, engagement and progress are paramount. We are proud of the friendly, family, mutually supportive ethos of our school. This ethos is swiftly felt and commented upon by many of our visitors. Each child is an individual with different needs and we aim to provide a personal approach to each child’s learning. This is achieved by constant review of our practice, sharing of expertise and professional development of our dedicated team of staff. We view partnership with parents and carers as being critical to a child’s well-being and development. 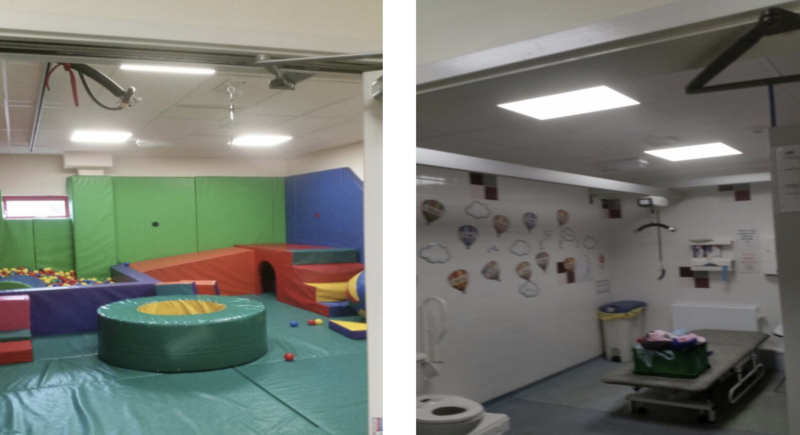 Woodlands School had been looking into many ways of changing over their old outdated flu-orescent lighting, but had not managed to find a way which wouldn’t cost the school money. With many children at the school who have many different needs, the failed lighting and the flickering of light was not helping in their learning environment. 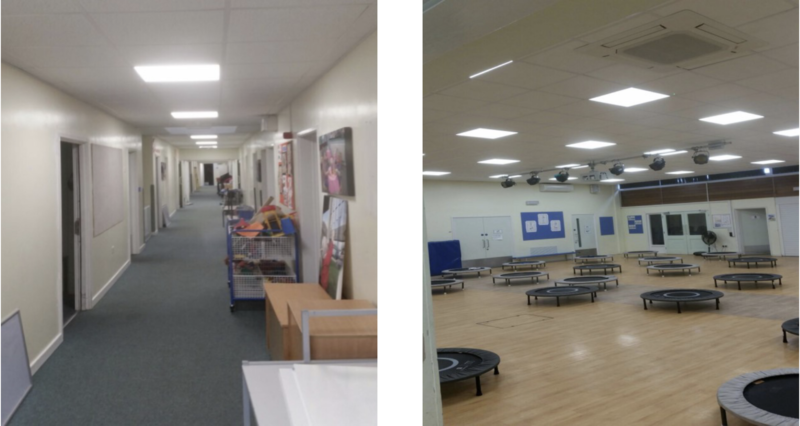 Woodlands School had their full LED Lighting survey completed and knowing there was no upfront cost to the school and only savings to be made, they changed their whole school to LED lighting. No maintenance to worry about and 13 years warranty. The School funded the scheme using The Educational Social Enterprise Fund for LED Lighting. The ‘Social Enterprise Fund’ enables schools to install LED Lighting, lower energy costs and reduce their carbon footprint without having to find the upfront capital to purchase the equipment. By simply paying an annual lease amount the scheme generates cash surpluses for the school from day one to be reinvested in educating disadvantaged children. There are no capital costs to the school and the lease repayments are made from the savings, there will always be a surplus left for the school after the lease payments are covered. The fund is DFE (Department for Education) approved as an operating lease, an appropriate funding method for schools and accredited by Department of Business, Innovation and Skills (BIS) to offer low cost finance. With over 486 LED lamps installed, Woodlands School have now improved classroom lighting, reduced energy consumption by up tp 70% and requires zero hours of maintenance time changing lamps. 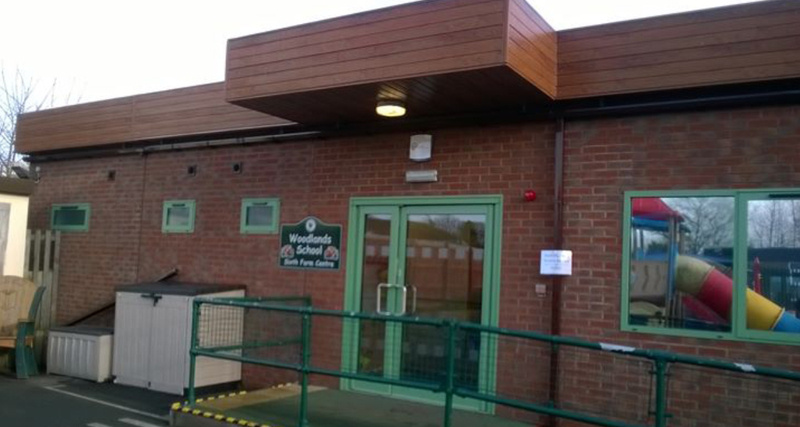 The LED lighting has been amazing for Woodlands School. The quality of light and the removal of sensory challenges such as flickering and buzzing have helped us to meet our pupils' complex needs.